The architects of the urban masterplan for De Veranda residential district, Soeters and Uytenhaak, were also responsible for several buildings in the vicinity. 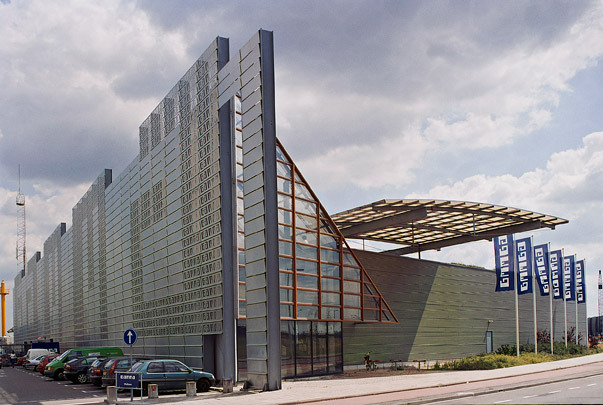 Soeters designed the Pathé multiplex cinema and the police station, and Uytenhaak a branch of the Gamma DIY chain, whose products and premises as a rule have little to do with aesthetics. In Uytenhaak's design, a fairly basic shed lurks behind a large metal screen which doubles as a billboard, consisting as it does of five gigantic letters spelling out the word Gamma. Each of these letters is itself made up of machined steel plates with the word Gamma punched in them.